Detailed individual publication lists are available on our University staff pages, which can be accessed via our people page. Pittman SJ, Rodwell L, Shellock R, Williams, M, Attrill, M, Bedford J, Curry K, Fletcher S, Gall S, Lowther J, McQuatters-Gollop A, Moseley K, Rees S. (in review) Marine parks for coastal cities: a concept for enhanced community well-being, prosperity and sustainable city living. Marine Policy. Bradley P, Jessup B, Pittman SJ, Jeffrey CFG, Ault JS, Carrubba L, Garcia G, Gerritsen J, Huertas E, Jackson S, Lilyestrom C, Murray B, Ramos A, Santavy DL, Schärer MT, Walker BK, Appeldoorn R, Smith T, Wojtenko I. (in review). Using reef fish as biocriteria to protect Caribbean coral reef ecosystems. Marine Pollution Bulletin. Carpenter A, Shellock R, von Haartman R, Fletcher S & Glegg G (2018) Public perceptions of management priorities for the English Channel region. Marine Policy 97:294-304. Siddons BL, Glegg G & McQuatters-Gollop A (2018) Inter-regional coherence: Can Northeast Atlantic pelagic habitat indicators be applied to the Arctic? Marine Policy 96: 53-64. Elliott, LR., White, MP., Grellier, J., Rees, SE., Fleming, L.E (2018) Recreational visits to marine and coastal environments in England: Where, what, who, why, and when? Marine Policy 97: 305-314. Diz, D., Johnson, D., Ridell, M., Rees, S., Battle, J., Gjerde, K., Hennige,S., Roberts, M. 2018. Mainstreaming Marine Biodiversity into the SDGs: The Role of Other Effective Area-Based Conservation Measures (SDG 14.5). Marine Policy. Special Issue SDG Synergies for Sustainable Fisheries and Poverty 93: 251-261. Rodwell L, Pittman SJ, Williams M (2018) Plymouth Marine Park. Briefing Paper No1. Marine & Coastal Policy Research Group, Plymouth University. Pittman SJ, Rodwell L, Williams M (2018) A Marine National Park for Britain’s Ocean City. Briefing paper No. 2. 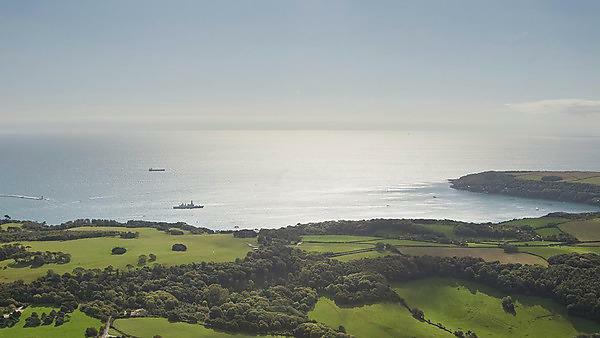 Marine and Coastal Policy Research Unit, University of Plymouth. Foster, N.L., Rees, S.E., Langmead, O., Griffiths C., Oates, J., Attrill, M.J. 2017. Assessing the ecological coherence of an MPA network in the Celtic Seas. Ecosphere 8(2). Ransibrahmanakul V, Pittman SJ, Pirhalla DE, Sheridan SC, Cameron CL, Barnes BB, Hu C, Shein K (2018). Linking weather patterns, water quality and invasive mussel distributions in the development and application of a water clarity index for the great lakes. IEEE Transactions on Geoscience and Remote Sensing. Rincon-Diaz MP, Pittman SJ, Arismendi I, Heppell SS. (2018) Functional diversity metrics detect temporal changes and spatial differences in the fish communities of a Caribbean marine protected area. Ecosphere. e02433. Stamoulis KA, Delevaux JMS, Poti M, Donovan MK, Lecky J, Costa B, Kendall MS, Williams ID, Pittman SJ, Wedding LM, Friedlander AM (2018) Seascape models reveal places to focus coastal fisheries management. Ecological Applications 28(4):910-925. Santos RO, Lirman D, Pittman SJ, Serafy JE (2018) Spatial patterns of seagrasses and salinity regimes interact to structure marine faunal assemblages in a subtropical bay. Marine Ecology Progress Series 594:21-38. Rees S, Foster N, Langmead O, Griffith C, Fletcher S, Pittman SJ, Johnson D, Attrill M (2018) Bridging the divide: Social-ecological coherence in Marine Protected Area network design. Aquatic Conservation: Marine and Freshwater Ecosystems 28(3). Pittman SJ (2018) Chapter 1: Introducing Seascape Ecology. p3-25. In Pittman SJ (ed.) Seascape Ecology. John Wiley & Sons Ltd.
Olds AD, Nagelkerken I, Huijbers CM, Gilby BL, Pittman SJ, Schlacher TA (2018) Chapter 9: Connectivity in coastal seascapes. p261-291. In Pittman SJ (ed.) Seascape Ecology. John Wiley & Sons Ltd.
Oleson KLL, Falinski KA, Audas DM, Coccia-Schillo S, Groves P, Teneva L, Pittman SJ (2018) Chapter 11: Linking landscape and seascape conditions: Science, tools, and management. p319-364. In Pittman SJ (ed.) Seascape Ecology. John Wiley & Sons Ltd.
Pittman SJ, Lepczyk CA, Wedding LM, Parrain C (2018) Chapter 12: Advancing a holistic systems approach in applied seascape ecology. p367-389. In Pittman SJ (ed.) Seascape Ecology. Wiley & Sons Ltd.
Saul S, Pittman SJ (2018) Chapter 13: Human ecology at sea: Modeling and mapping human-seascape interactions. p391-427. In Pittman SJ (ed.) Seascape Ecology. John Wiley & Sons Ltd.
Pittman SJ, Wiens JA, Wu J, Urban DL (2018) Chapter 16: Landscape ecologist’s perspectives on seascape ecology. p485-494. In Pittman SJ (ed.) Seascape Ecology. John Wiley & Sons Ltd.
Lowther J., Parham D, Williams M (2018) Headline strategy for the conservation and protection of underwater cultural heritage in the British Antarctic Territory. Drafted for the Foreign & Commonwealth Office and the British Antarctic Government a policy for protection of Underwater Cultural Heritage in the British Antarctic Territory. McQuatters-Gollop, A., (2018). 海洋生態系の持続可能な管理に向けた科学と政策の協働 (Collaboration of science and policy toward sustainable management of marine ecosystems). Sasakawa Peace Foundation Ocean Policy Research Institute Ocean Newsletter, 434: 4-5. McQuatters-Gollop, A. and UK Pelagic Habitats Expert Group, (2018) UK pelagic habitats and monitoring options: white paper for UK and DA ministers, London, pp 15. Parliamentary Office for Science and Technology (McQuatters-Gollop, contributing author), (2018) POSTNOTE: UK Fisheries Management, No. 572, London, 1 pp. British Ecological Society Brexit Policy Working Group (McQuatters-Gollop, contributing author), (2018) The marine environment after Brexit: the future for science and policy, London, 18 pp. British Ecological Society Brexit Policy Working Group (McQuatters-Gollop, contributing author), (2018) Sustainable Seas Inquiry: Written evidence submitted by the British Ecological Society. British Ecological Society, London, 11. Higgs, N., Thompson, R., Hutchinson, T., Hall-Spencer, J., McQuatters-Gollop, A., Embling, C., Rees, S., Sheehan, E. and Selby, I., (2018) Sustainable Seas Inquiry: Written Evidence from the University of Plymouth Marine Institute. University of Plymouth Marine Institute, Plymouth, UK, pp. 12. McQuatters-Gollop, A., Artigas, F., Aubert, A., Budria, A., Johansen, M., Ostle, C. and Rombouts, I., (2017). PH1: Changes in phytoplankton and zooplankton communities. In: OSPAR (Editor), OSPAR Intermediate Assessment 2017. OSPAR, London, UK, pp. 2. OSPAR (McQuatters-Gollop, contributing author), (2017). PH2: Changes in phytoplankton biomass and zooplankton abundance. In: OSPAR (Editor), OSPAR Intermediate Assessment 2017. OSPAR, London, UK, pp. 2. OSPAR (McQuatters-Gollop, contributing author), (2017). PH3: Pilot assessment of changes in plankton diversity. In: OSPAR (Editor), OSPAR Intermediate Assessment 2017. OSPAR, London, UK, pp. 2. Elliott, S.A.M., Arroyo, N.L., Safi, G., Ostle, C., Guérin, L., McQuatters-Gollop, A., Aubert, A., Artigas, F., Budria, A., I. Rombouts1, Artigas, F., Pesch, R., Schmitt, P., Vina-Herbon, C., Meakins, B., González-Irusta, J.M., Preciado, I., López-López, L., Punzón, A., Torriente, A., Serrano, A., Haraldsson, M., Capuzzo, E., Claquin, P., Kromkamp, J., Niquil, N., Judd, A., Padegimas, B. and Corcoran, E., (2017). Proposed approaches for indicator integration EcApRHA Deliverable 4.1. OSPAR, London, UK, 46. Budria, A., Aubert, A., Rombouts, I., Ostle, C., Atkinson, A., Widdicombe, C., Goberville, E., Artigas, F., Johns, D., Padegimas, B., Corcoran, E. and McQuatters-Gollop, A., (2017). Cross-linking plankton indicators to better define GES of pelagic habitats EcApRHA Deliverable WP1.4. OSPAR, London, UK, 54. Ostle, C., Artigas, F., Atkinson, A., Aubert, A., Budria, A., Graham, G., Helaouët, P., Johns, D., Padegimas, B., Rombouts, I., Widdicombe, C. and McQuatters-Gollop, A., (2017). Spatial Representivity of Plankton Indicators EcApRHA Deliverable WP1.3. OSPAR, London, UK, 28. Aubert, A., Rombouts, I., Artigas, F., Budria, A., Ostle, C., Padegimas, B. and McQuatters-Gollop, A., (2017). Combining methods and data for a more holistic assessment of the plankton community EcApRHA Deliverable WP1.2. OSPAR, London, UK, 42. Ostle, C., Artigas, F., Aubert, A., Budria, A., Graham, G., Johansen, M., Johns, D., Padegimas, B., Rombouts, I., and McQuatters-Gollop, A. (2017). Programming outputs for constructing the plankton lifeform indicator from disparate data types EcApRHA Deliverable WP1.1. OSPAR, London, UK, 30. Penney R, Wilson G and Rodwell L (2017) Managing sino-ghanaian fishery relations: A political ecology approach. Marine Policy 79: 46-53. Rees S, Foster N, Langmead O, Pittman SJ, Johnson D (2017) Defining the qualitative elements of Aichi Biodiversity Target 11 with regard to the marine and coastal environment in order to strengthen global efforts for marine biodiversity conservation outlined in the United Nations Sustainable Development Goal 14. Marine Policy 93:241-250. Pittman SJ, Poti M, Jeffrey CFG, Kracker LM, Mabrouk A (2017) Decision support framework for prioritizing coral reefs in the U.S. Virgin Islands. Ecological Informatics 47:26-34. Erisman B, Heyman W, Kobara S, Ezer T, Pittman SJ, Aburto-Oropeza O, Nemeth RS (2016) Fish spawning aggregations: where well‐placed management actions can yield big benefits for fisheries and conservation. Fish and Fisheries 18(1), 128-144. Olds AD, Connolly RM, Pitt KA, Pittman SJ, Maxwell PS, Huijbers CM, Moore BR, Albert S, Rissik D, Babcock RC, Schlacher TA. (2016) Quantifying the conservation value of seascape connectivity: a global synthesis. Global Ecology and Biogeography 25(1), 3-15. Pittman SJ, Jeffrey CFG, Menza C, Kågesten G, Orthmeyer A, Dorfman D, Mateos-Molina D, Hile S, Ransibrahmanakul V, Ramos Álvarez A (2016) Mapping ecological priorities and human impacts to support land-sea management of Puerto Rico’s Northeast Ecological Corridor. NOAA Technical Memorandum NOS NCCOS. Silver Spring, MD. 61 pp. Pittman SJ, Winship AJ, Poti M, Kinlan BP, Leirness JB, Baird RW, Barlow J, Becker EA, Forney KA, Hill MC, Miller PI, Mobley J, Oleson EM (2016) Marine Mammals. Chapter 6. In Costa, B.M. and M.S. Kendall (eds.). 2016. Marine Biogeographic Assessment of the Main Hawaiian Islands. Bureau of Ocean Energy Management and National Oceanic and Atmospheric Administration. OCS Study BOEM 2016-035 and NOAA Technical Memorandum NOS NCCOS 214. 359 pp. Pittman SJ, Winship AJ, Wilson K, Littnan CL (2016) Hawaiian monk seals. Chapter 6. In Costa, B.M. and M.S. Kendall (eds.). 2016. Marine Biogeographic Assessment of the Main Hawaiian Islands. Bureau of Ocean Energy Management and National Oceanic and Atmospheric Administration. OCS Study BOEM 2016-035 and NOAA Technical Memorandum NOS NCCOS 214. 359 pp. Lowther J., Parham D, Williams M (2016) Scheduling under the Ancient Monuments & Archaeological Areas Act 1979 in English Water. JNAPC Discussion paper. Lowther J., Parham D, Williams M (2016) All at Sea: When duty meets austerity in scheduling monuments in English waters. Journal of Planning and Environmental Law 3: 245-334. Gall, S.C. and Rodwell, L.D. (2016): Evaluating the social acceptability of Marine Protected Areas. Marine Policy 65: 30-38. Gallacher J, Simmonds N, Fellowes H, Brown N, Gill N, Clark W, Biggs C and Rodwell LD (2016) 'Evaluating the success of a marine protected area: A systematic review approach' Journal of Environmental Management 183 (1): 280-293. Caldow C, Monaco ME, Pittman SJ et al. (2015) Biogeographic assessments: A framework for information synthesis to support marine spatial planning. Marine Policy 51, 423-432. ICES (McQuatters-Gollop, contributing author), (2015). Report of the Working Group on Biodiversity Science (WGBIODIV), 9–13 February 2015. ICES, ICES Headquarters, Copenhagen, Denmark, p. 308. Rees, S.E., Mangi, S.C., Hattam, C., Gall, S.C., Rodwell, L.D., Peckett, F.J. and Attrill, M.J. (2015) The socio-economic effects of a Marine Protected Area on the ecosystem service of leisure and recreation. Marine Policy 62: 144-152. Rodríguez- Rodríguez, D., Rees, S., Rodwell, L.D. and Attrill, M. (2015). IMPASEA: A methodological framework to monitor and assess the socioeconomic effects of marine protected areas. An English Channel case study. Environmental Science and Policy, 54: 44-51. Rodríguez-Rodríguez, D., Rees, S, Rodwell, L.D. and Attrill, M (2015) Assessing the socioeconomic effects of multiple-use MPAs in a European setting: A national stakeholders’ perspective. Environmental Science and Policy 48: 115–127. Rodríguez-Rodríguez, D., Rees,S., Mannaerts, G., Sciberras, M., Sheehan, E., Aulert, C., Carrier,S., Pirie, C., Black, G. & McBreen, F. (2015) Status of the marine protected area network across the English Channel (La Manche): Cross-country similarities and differences in MPA designation, management and monitoring. Marine Policy 51: 536-546. Gilbert, A.J., Alexander, K., Sarda, R., Brazinskaite, R., Fischer, C., Gee, K., Los, H., Jessopp, M., Kershaw, P., O’Mahony, C., March, D., Pihlajamäki, M., Rees, S., Varjopuro,R. (2015) Marine Spatial Planning and Good Environmental Status: a perspective on spatial and temporal dimensions. Ecology and Society 20(1) 64. Fletcher S, Jefferson RL, Glegg G, Rodwell L & Dodds W. (2014) England’s evolving marine and coastal governance framework Marine Policy 45: 261-268. Glegg G (2014) Training for marine planners: Present and future needs. Marine Policy 43:13-20. Marshall CE, Glegg GA & Howell KL (2014) Species distribution modelling to support marine conservation planning: The next steps' Marine Policy 45: 330-332. Evariste E, Claquin P, Robin J-P, Auber A, McQuatters-Gollop A, Fletcher S, Glegg G & Dauvin J-C 2015 'What did we learn from PEGASEAS forum “Science and Governance of the Channel Marine Ecosystem”? Marine Pollution Bulletin 93(1-2):1-4. Friedrich LA, Jefferson R & Glegg G (2014) Public perceptions of sharks: Gathering support for shark conservation. Marine Policy 47:1-7. Cinnirella S., Sardà R., Suárez deVivero J. L.,Brennan R., Barausse A., Icely J., Luisetti T., March D., Murciano C., Newton A., O’Higgins T., Palmeri L., Palmieri M. G., Raux P., Rees S., Albaigés J., Pirrone N. & K. Turner (2014) Steps towards a shared governance response for achieving Good Environmental Status in the Mediterranean Sea. Ecology and Society 19(4) 47. Rees, S.E, Fletcher, S., Gall, S.C., Friedrich, L.A., Jackson, E.L., Rodwell, L.D. (2014) Securing the benefits: Linking ecology with marine planning policy to examine the potential of a network of Marine Protected Areas to support human wellbeing. Marine Policy 44: 335-341. Rodwell, L.D., Fletcher, S., Glegg, G.A., Campbell, M., Rees, S.E., Ashley, M., Linley, E.A., Frost, M., Earl, B., Wynn, R.B., Mee, L., Almada-Villela, P., Lear, D., Stanger, P., Colenutt, A., Davenport, F., Barker Bradshaw, N.J., Covey, R. (2014) Marine and coastal policy in the UK: Challenges and opportunities in a new era. Marine Policy 45: 251-258. Pittman SJ, Monaco ME, Friedlander AM, Legare B, Nemeth RS, et al. (2014) Fish with Chips: Tracking reef fish movements to evaluate size and connectivity of Caribbean marine protected areas. PLoS ONE 9(5), e96028. Costa B, Taylor C, Kracker L, Battista T, Pittman SJ (2014) Mapping reef fish and the seascape: Using acoustics and spatial modeling to guide coastal management. PloS One, 9(1), e85555. Renchen GF, Pittman SJ, Clark R, Caldow C, Gall S, Olsen D, & Hill RL (2014). Impact of derelict fish traps in Caribbean waters: an experimental approach. Bulletin of Marine Science: 90(2), 551-563. Kobara S, Heyman WD, Pittman SJ, Nemeth RS (2013) Biogeography of transient reef-fish spawning aggregations in the Caribbean: a synthesis for future research and management. Oceanography and Marine Biology 51:281-326. Skinner, J., Bailly, D., Le Coz, M., Dodds, W., Fletcher, S., Glegg, G., Glenn, H., Herry, L., Molfese, C., Sewell, J. and McQuatters-Gollop, A., (2014). Pathways for effective governance of the English Channel. Sir Alister Hardy Foundation for Ocean Science, Plymouth, UK, p. 50. Pittman SJ, Jeffrey CFG, Hile SD, Bauer L, Davenport E, Caldow C (2014) Marine protected areas of the U.S. Virgin Islands: Ecological performance report. NOAA Technical Memorandum NOS NCCOS. ICES, 2014. Second Interim Report of the Working Group on Biodiversity Science (WGBIODIV). ICES, Copenhagen, Denmark, p. 44. Scherer, C., Gowen, R.J., Tett, P., McQuatters-Gollop, A., Forster, R., Bresnan, E., Cook, K., Atkinson, A., Best, M., Baptie, M., Keeble, S., McCullough, G., McKinney, A., (2014). Finalising and implementing the development of plankton indicators and targets: Operationalising the Lifeform and State Space Method. Workshop report to Defra. Agri-food and Biosciences Institute, Belfast, p. 32. Scherer, C., Gowen, R.J., Tett, P., McQuatters-Gollop, A., Forster, R., Bresnan, E., Cook, K., Atkinson, A., Best, M., Baptie, M., Keeble, S., McCullough, G. and McKinney, A., (2014). Development of a UK Integrated Plankton Monitoring Programme: A final report of the Lifeform and State Space project, prepared for Defra. Agri-food and Biosciences Institute, Belfast, 450 pp. de Groot, J., Campbell, M., Ashley, M., Rodwell L.D. (2014): Investigating the co-existence of fisheries and offshore renewable energy in the UK: Identification of a mitigation agenda for fishing effort displacement. Ocean and Coastal Management 102: 7-18. Tuda, A., Stevens, T. and Rodwell, L.D. (2014): Resolving coastal conflicts using marine spatial planning. Journal of Environmental Management 133: 59-68. Rodwell, L.D. et al. (2014): Marine and coastal policy: challenges and opportunities in a new era. Marine Policy 45: 251-258. Rees, S.E., Fletcher, S., Gall, S.C., Friedrich, L.A., Jackson, E.L. and Rodwell, L.D. (2014): Securing the benefits: Linking ecology with marine planning policy to examine the potential of a network of Marine Protected Areas to support human wellbeing. Marine Policy 44: 335-341. DOI: 10.1016/j.marpol.2013.09.027. Peckett, F., Glegg, G.A. and Rodwell, L.D. (2014): Assessing the quality of data required to protect marine biodiversity. Marine Policy 45: 333-341. Rodwell, L.D., Lowther, J. Hunter, C. and Mangi, S.C. (2014): Fisheries co-management in a new era of marine policy in the UK: a preliminary assessment of stakeholder perceptions. Marine Policy 45: 279-286. Hattam, C., Mangi, S.C., Gall, S. and Rodwell, L.D. (2014): Social impacts of a temperate fisheries closure: understanding stakeholders' views. Marine Policy 45: 269-278. Rendle, E. and Rodwell, L.D. (2014): Artificial surf reefs: A preliminary assessment of the potential to enhance a coastal economy. Marine Policy 45: 349-358. Ashley. M., Mangi, S.C. and Rodwell, L.D. (2014): The potential of offshore wind farms to act as marine conservation zones - a systematic review of current evidence. Marine Policy 45: 301-309. Fletcher, S., Jefferson, R., Glegg, G., Rodwell, L.D. and Dodds, W. (2014): England's evolving marine and coastal governance framework. Marine Policy 45: 261-268. Fletcher-Tomenius P, Parham D. and Williams M. (2013) British Postal Packet Hanover, 1757: a legal history. International Journal of Nautical Archaeology 42(2): 392-402. The UNESCO Convention on the Protection of the Underwater Cultural Heritage 2001: An Impact Review for the United Kingdom. UK UNESCO 2001 Convention Review Group, 2013, Report Published February 2014 ISBN 978-0-904608-03-8 Mike Williams is a Contributing Author). The UNESCO Convention on the Protection of the Underwater Cultural Heritage 2001: Next Steps for the UK Government. Policy Brief 17 UK National Commission for UNESCO ISSN 2050-8212 (Mike Williams is a Contributing Author). Lowther J and Williams M (2012) Beyond national boundaries: Using European regulation to protect UCH. pp.95-103 In Henderson (ed.) Proceedings of 3rd International Congress on Underwater Archaeology RGK: Bonn. Parham D and Williams M (2011) An outline of the threat to underwater cultural heritage in international waters. In Yorke (ed.) Proceedings of JNAPC 21st Anniversary Seminar at the Society of Antiquaries London, 12th November 2010 NAS Portsmouth. Parham D and Williams M (2012) Public involvement in maritime archaeology. pp.470-474 In Henderson (ed.) Proceedings of 3rd International Congress on Underwater Archaeology Henderson, J. (ed.) RGK: Bonn.